In today's healthcare climate, where prescription drug use has multiplied, it's becoming increasingly important to question medical professionals on the diagnoses they dish out. It's equally important to question one's own belief in pharmacology as the solution to the health problems we face today. We must question the labels that we place on ourselves and on our kids. A very misleading paradigm has been imposed on the minds of the public and has been facilitated through the Western medical institution in the past three decades. This misleading mindset is leading many children to be labeled with ADHD, which stands for "attention-deficit hyperactivity disorder." This fabricated "disorder" has morphed into a pill-popping craze in the 21st century, and it is addicting more and more children to dangerous stimulant drugs. ADHD, first coined by the American Psychiatric Association's Diagnostic and Statistical Manual in 1980 as "attention-deficit disorder," has since then skyrocketed. In 2003, 7.8 percent of children were labeled with ADHD, and by 2011, that number spiked to 11 percent. This false paradigm is now being planted in the minds of one in every nine children. Two-thirds of the diagnoses are in boys. This is an alarming trend of misdiagnosis, especially when drugs like Adderall and Ritalin are prescribed. The more a child takes these drugs, the more they will develop a tolerance to them, which can lead to a dangerous addiction spiral. The new book, titled ADHD Does Not Exist: The Truth About Attention Deficit and Hyperactivity Disorder, is the culmination of Dr. Saul's half-century of experience treating patients. In his own words, "Not a single individual -- not even the person who finds it close to impossible to pay attention or sit still -- is afflicted by the disorder called ADHD as we define it today." Saul witnessed how countless patients would come to him with the ADHD label already scribed into their minds. Saul recognized underlying problems that can be solved without the ADHD label and subsequent drugging of the patient. Patients showing short attention spans would come right up to Saul claiming that they had ADHD. He says that patients would come straight to his doctor office already mentally self-diagnosed with ADHD, asking for drugs like Adderall and Ritalin. "ADHD makes a great excuse," Saul says. "The diagnosis can be an easy-to-reach-for crutch. Moreover, there's an attractive element to an ADHD diagnosis, especially in adults -- it can be exciting to think of oneself as involved in many things at once, rather than stuck in a boring rut." Saul relays that his medical colleagues were quick to prescribe the stimulant drugs Ritalin and Adderall, because patients met criteria from a "two-minute checklist." But Dr. Saul believes that the fictitious ADHD is really a collection of symptoms, not a disease. 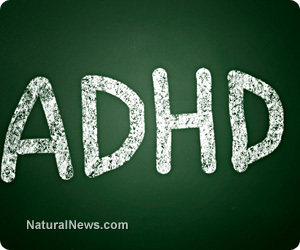 He believes that ADHD should be taken out of the American Psychiatric Association's Diagnostic and Statistical Manual. He believes that the symptoms should be approached holistically. Instead of looking at hyperactivity, fidgeting and lack of focus as one lump "disease," Saul outlines causes, methods and alternative solutions for people who struggle to focus and pay attention. In one example, Saul told the New York Post about a girl who was being treated for ADHD because she was disruptive in class because she couldn't see the blackboard. In the end, all she needed was glasses, not drugs. Learn more from Saul's new book, ADHD Does Not Exist: The Truth About Attention Deficit and Hyperactivity Disorder, right here. Inspired by powerful changes in he and his family's own health, Lance Johnson is excited about the future of cellular health and nutrition. Lance has also launched a natural products movement from the ground up, featuring a create your own soap option, allowing visitors to choose the natural ingredients they want in their soap.